I remember when I first started my job back in 2008, I was looking for a gym and thought that Equinox was really unrealistic and I would never find myself working out there. When I was in the thick of marathon training, an expensive gym didn’t seem like a good investment. At one point when I wasn’t marathon training, but I really enjoyed trying all types of classes at different studios either through ClassPass or the individual studio package deals. I didn’t want to be restricted to one location. 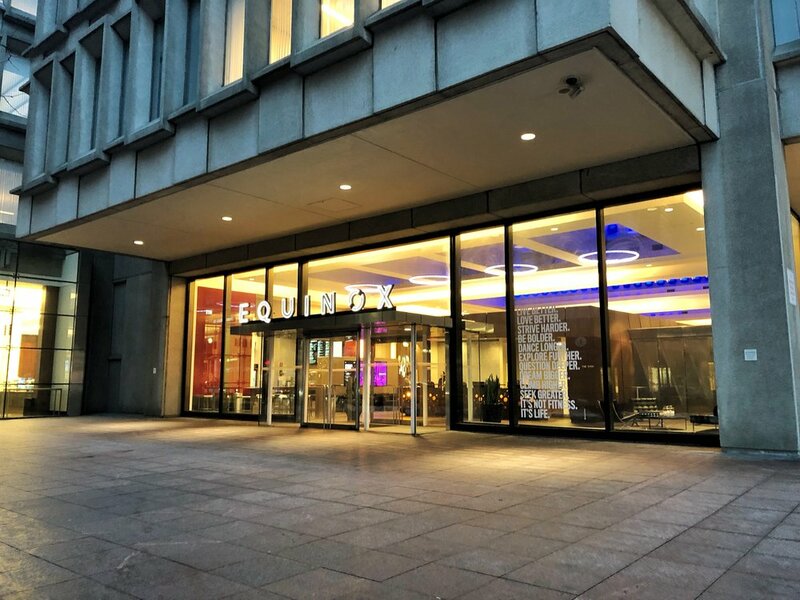 Equinox’s classes are probably the best you can get at a gym and the closest to the boutique fitness studio quality. In fact, a lot of the instructors teach at other studios. They have a decent variety and I always find they are difficult. Having a gym only a 5 minute walk from my work is huge. I am a morning workout person and like to run near work because it is safer in the morning and I am closer to work after I finish my workout. I also have the option to workout during lunch if I want, which I don’t really do too much but it’s nice to be able to if I want to! I mostly just run on the weekends so having my gym not near home is not a deal breaker for me. I debated joining a boutique fitness studio that had a variety of classes but I struggled to find a location that the showers wouldn’t be super busy on days that I had just a run scheduled. Or a studio that had enough space for me to stretch or do my own lifting/workout when there wasn’t a class going on. Equinox has both of those things. I enjoy the nice locker room, decent number of showers, full size towels (I’ve been to gyms where the towels are like a hand towel), and high quality products. It makes me look forward to heading to the gym even more! I have to admit that I was initially nervous that I wouldn’t “fit in” to the Equinox community but the instructors are very welcoming and I’ve found it pretty easy to talk to people in classes. I’ve even had people ask me questions or strike up conversation. I still haven’t found any set gym buddies or friends but there are more and more familiar faces and I can imagine that I’ll have my own little community in Equinox soon enough! Is anyone an Equinox member in Boston? Who wants to workout or run with me? !